Quickly back up or transfer 128GB of data with the Elite USB 3.1 Gen 1 Type-C Flash Drive from PNY Technologies. The PRO Elite is equipped with USB 3.0/USB 3.1 Gen 1 technology, which enables it to offer read speeds up to 130 MB/s and write speeds up to 10 times faster than USB 2.0. When connected to a USB 3.0 port, this level of performance lets you transfer photos, videos, and other file types quickly. In addition, the flash drive utilizes a sliding collar housing design that protects the USB connector when not in use and slides out when connection is needed. This flash drive is compatible with Windows and Mac systems that are equipped with USB Type-C. 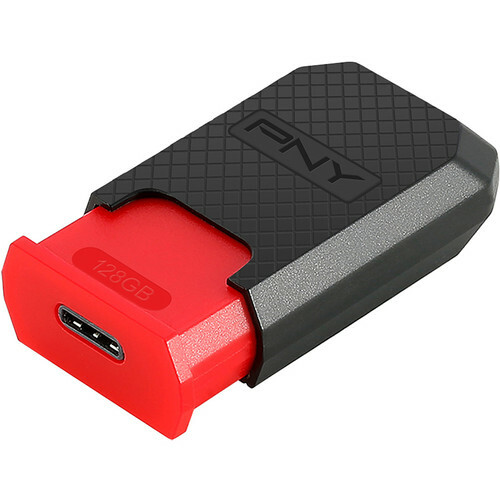 This USB 3.1 Gen 1 Type-C flash drive is ideal for USB Type-C enabled Windows and Mac computers, as well as USB Type-C enabled smartphones and tablets. This flash drive can reach read speeds up to 130 MB/s. 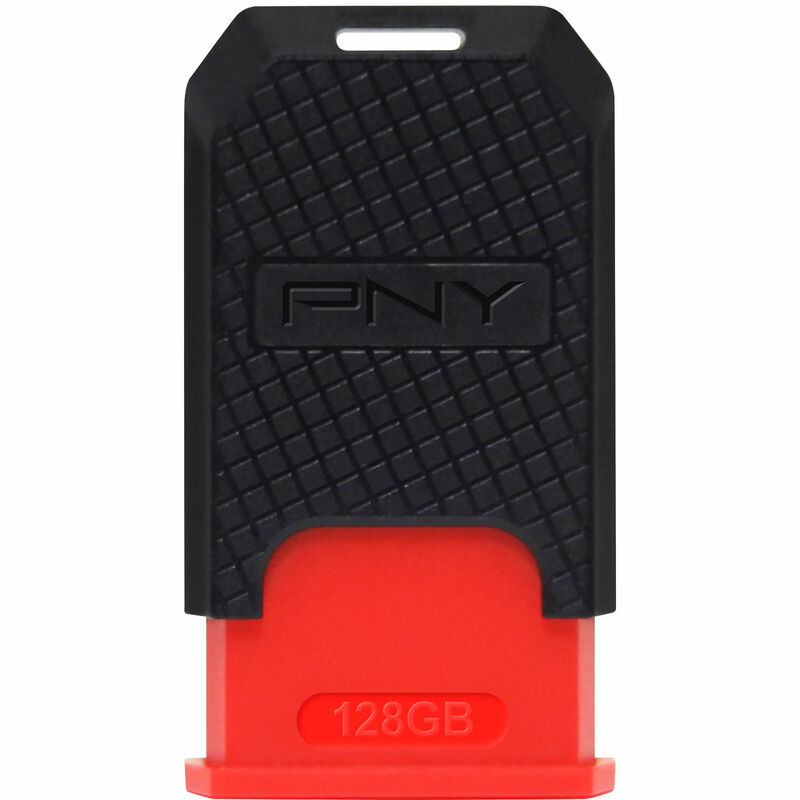 Transfer speeds up to 10 times faster than standard PNY USB 2.0 Flash Drives. Holds over 25,000 pictures at 18MP, over 23,500 songs, or over 7 hours of 4K Ultra HD video content. Store and transfer music, photos, movies, videos, and documents between your USB Type-C devices quickly and easily.